Now that we are coming towards the end of the World Cup, certain players, whether they have already boarded the plane home or still in with a shout of glory, can look back and say they had a good tournament. There will, undoubtedly, be a scramble for Premier League clubs to sign some of those headline-makers. Of course, there will also be a huge amount of speculation and rumour – something that drives fans crazy at this time of the year. So, without any basis on transfer rumours, here are four World Cup stars we would like to see come to England next season. For added fun, we will add what club could use each player’s talents and how they could impact the season. The 22-year-old winger was tipped to be one of the stars of the World Cup and duly delivered as Mexico jigged through the group stages and eliminated champions Germany along the way. 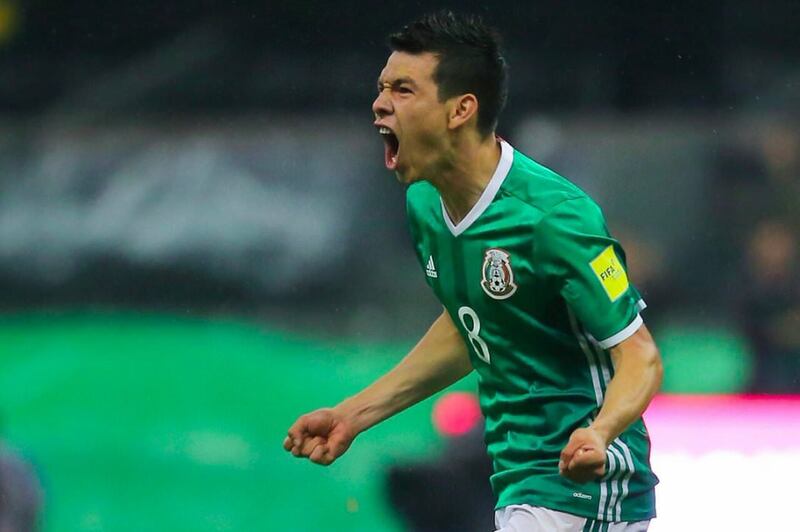 Lozano, who scored the winner against Germany, was arguably El Tri’s star performer in Russia. Lozano’s skill, work-rate, speed and invention would suit Jurgen Klopp’s style of play at Liverpool. They need some back up for the front three of Firmino, Salah and Mané if they are to have any chance of catching odds-on title favourites Man City this season. Hardly a surprise here, since Godin is arguably the best centre back in world football. The Atlético Madrid is the rock at the back for both club and country. Uruguay rarely looked troubled as they keep three clean sheets in the group stages. Little surprise when Godin is marshalling the troops. Manchester United have spent a fortune on defenders in recent years but have never really got close to replacing Nemanja Vidic. Signing Godin would surely slash their title odds (currently 7/1, Bet365) and really give them a platform to build on. He is 32 and wouldn’t come cheap, but Godin is built for the Premier League. The versatile Croatia forward has been something of a journeyman, playing his trade in his homeland, Italy and Germany in his young, but sometimes struggling career. However, he is evidence of how the World Cup can be redemptive, starring for Croatia as they marched towards the latter stages. His versatility would be perfect for Everton, who struggled for consistency last season. Their goal will be a Top 6 finish (6/1, Bet365), with those making football betting predictions believing they can usurp Arsenal. Rebic could unlock a one-dimensional forward line and help them achieve that goal. Spain had a torrid time at the World Cup, with many heralding their stodgy performances as the end of Tiki-Taka. However, one bright spark in the tournament was Rodrigo. The Valencia forward only came on for a few short spells, but he showed a spark and cleverness that could light up the Premier League. He would fit in nicely under the tutelage of Mauricio Pochettino. Would he be enough turn Spurs (11/1 odds) into title winners? Perhaps not, but he would give them an extra dimension and bolster the squad ahead of another Champions League campaign. Can Jose Mourinho Get the Best Out of Paul Pogba?